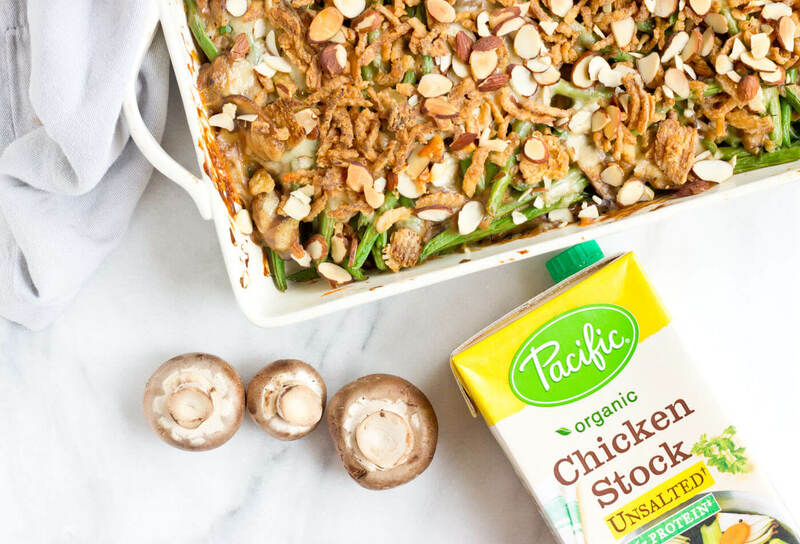 This Green Bean Casserole recipe post is sponsored by Pacific Foods. You guys.. one of the perks of being a food blogger is I get to eat Thanksgiving food for months. 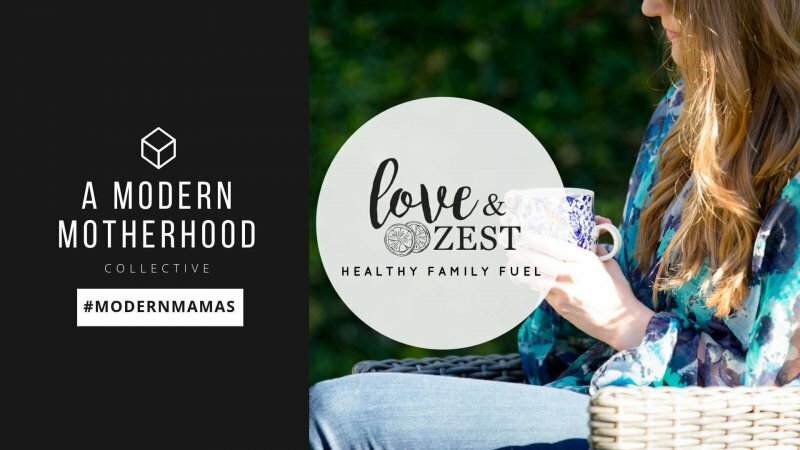 We start talking Thanksgiving at the end of the summer in the food blog world and the kitchen has been brimming with the merriment of the season for weeks now—> gimmme all that Green Bean Casserole! 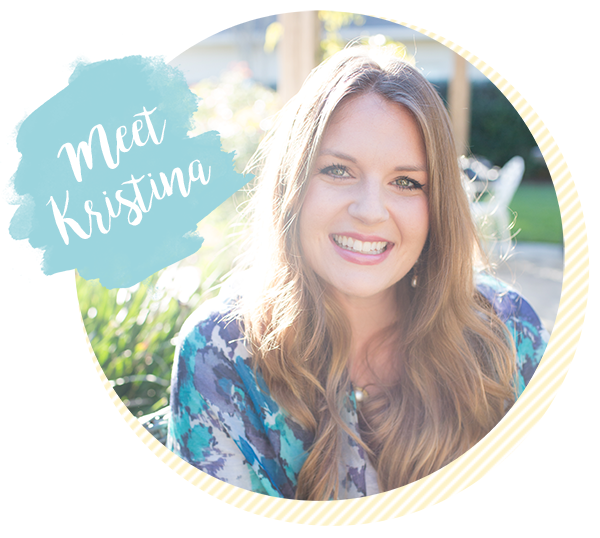 It’s that time of year when we (normal-non food blogger people) start thinking about our Thanksgiving menu. 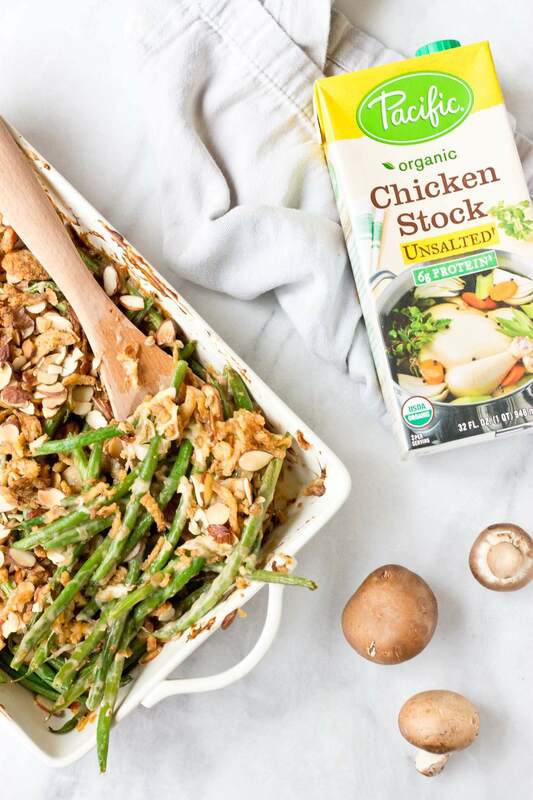 While many traditional holiday recipes are passed down from gen to gen, if you’re starting new family traditions or trying to cook foods with a fresher take you need to make this Healthy Green Bean Casserole for your family or Friendsgiving this year! Goodbye canned cream of mushroom 🍄 soup. That stuff makes me cringe, but it’s what Southerner’s (aka my mama) always use for Green Bean Casserole. 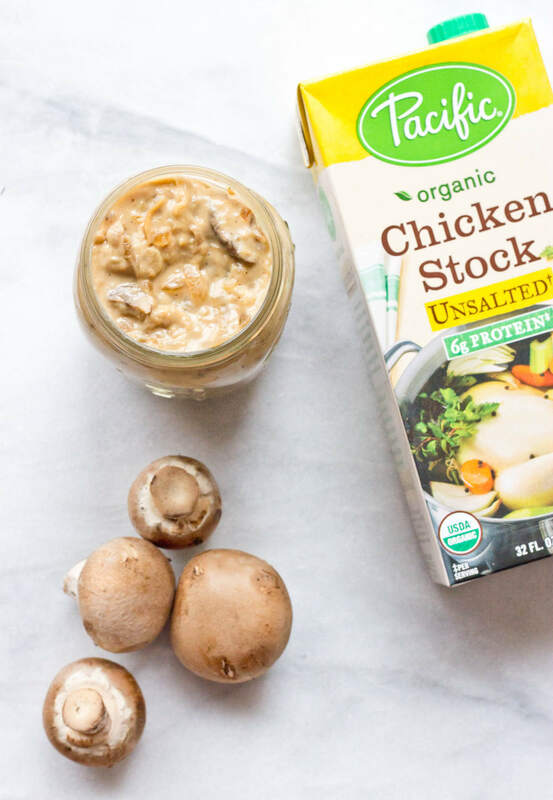 Let it be known that it’s really simple to make a creamy mushroom soup from scratch thanks to Pacific’s new Organic Chicken Stock. 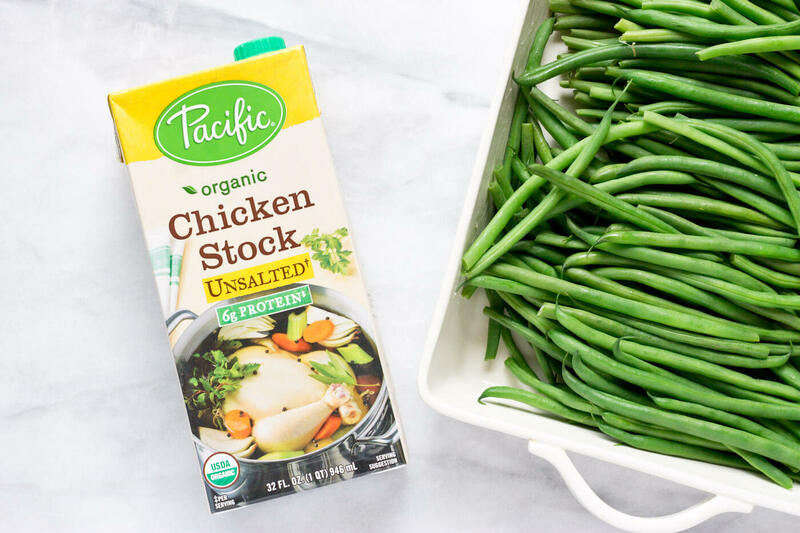 Pacific’s Organic Chicken Stock is a nourishing pantry staple and convenient source of high-quality, classic flavor for all holiday meals. It contains only 70 mg sodium that’s naturally occurring and 6 grams of protein per cup! 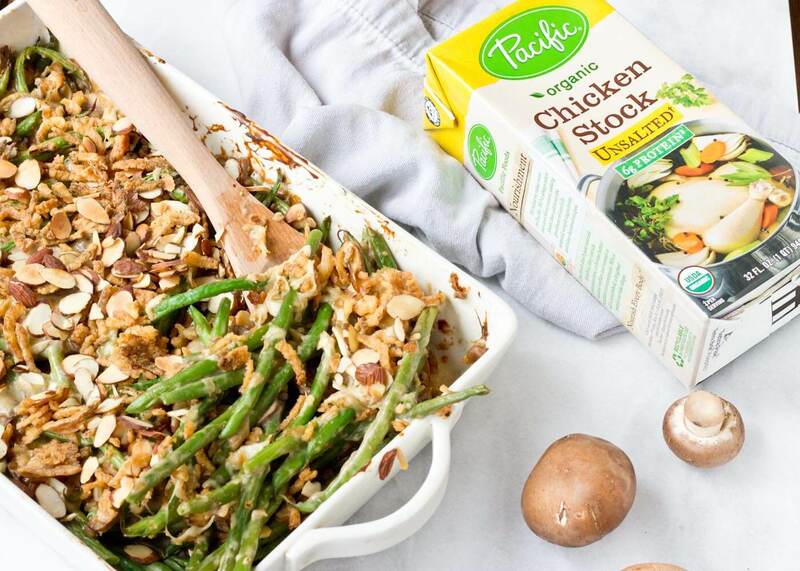 I love using Pacific’s Chicken Stock because of their simple ingredient list – no added cane sugar, flavors or powders. 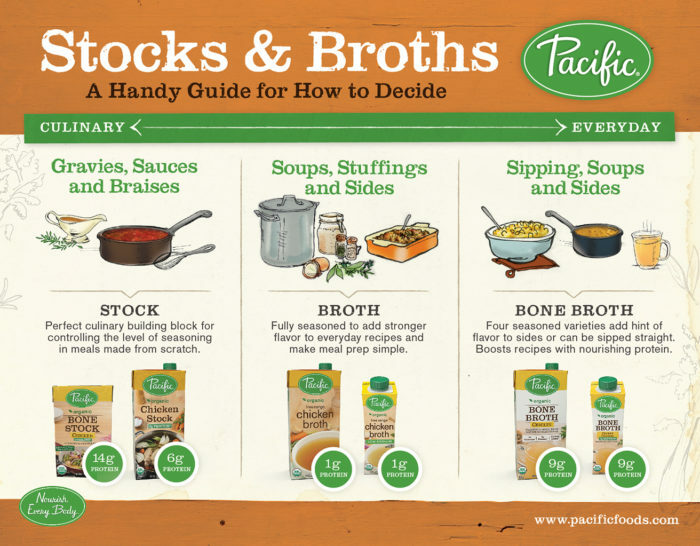 You may be wondering stock or broth… what’s the difference? We’ll here’s a helpful infographic to show you when to use them. The benefits of using a stock is it puts you in control of the seasonings! That’s why in this recipe I specify for you to season to taste since everyone has unique taste preferences. 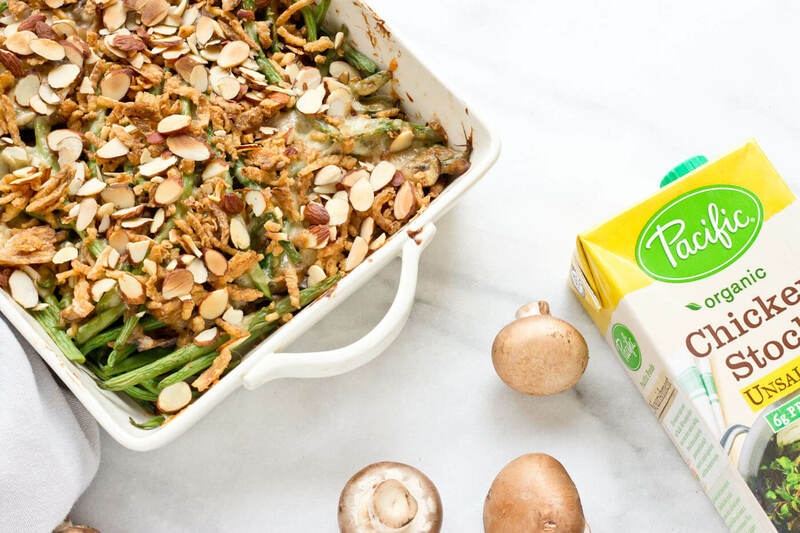 AAAANNND because we all need Green Bean Casserole in our lives, I made this one for you. This is recipe is easy and made with homemade cream of mushroom soup + au gratin topping! All that cheesy, fried oniony, and almond-y topping…is a must. Extra crunchies, please! 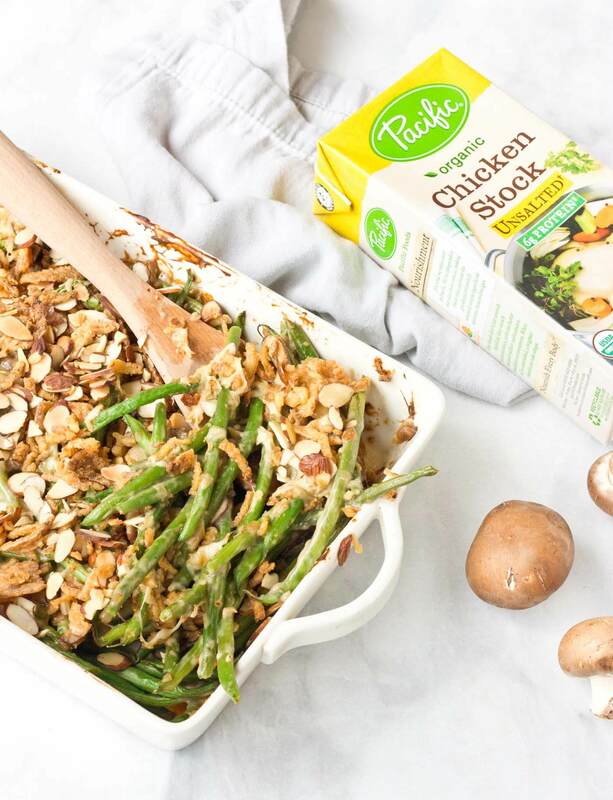 You’ll love this version of Green Bean Casserole… it’s a family fave. 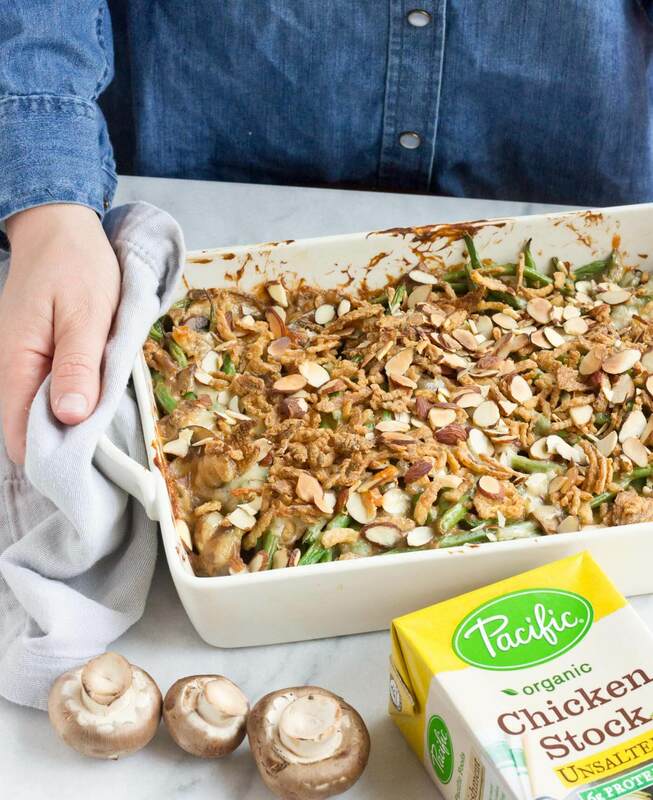 Because we all need Green Bean Casserole in our lives. This is recipe is easy and made with homemade cream of mushroom soup + au gratin topping! Extra crunchies, please! In a large skillet, heat butter over medium heat. Sauté onions until beginning to soften, add garlic and continue to cook until fragrant. Stir in mushrooms and sauté until mushrooms are softened. Sprinkle flour evenly over mushrooms and mix until fully incorporated. Stir in chicken broth and half and half and increase heat to bring to simmer; salt and pepper to taste. Steam green beans in the microwave for 5 minutes. Coat large baking dish with butter or cooking spray and mix steamed green beans and cream of mushroom soup together to fully coat the beans. Top with cheese, cheddar cheese and french fried onions. Bake for 20-25 minutes until bubbly and slightly browned. This is better than any green bean casserole I’ve sever seen- both in looks and flavor! Love the au gratin topping! I’m so excited that it’s the time of year for using soups and stocks! I need to poke around for that brand. I haven’t purchased it in a while and have heard great things about their stocks. YUM! This looks delicious and so perfect for Thanksgiving. Would love to try this recipe as we plan for the holiday! I’m totally ready to start planning out thanksgiving menu and green beans are a must! Loving that this has no canned soup! possibly one of my husbands favorite dishes, but I think you made it in a way that I would finally enjoy too!! Thank you!! 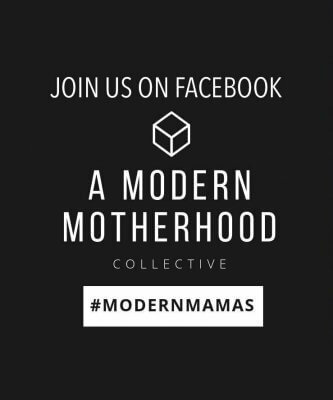 It’s one of our family favs too. This green bean casserole looks luscious! I can’t wait to try it out! 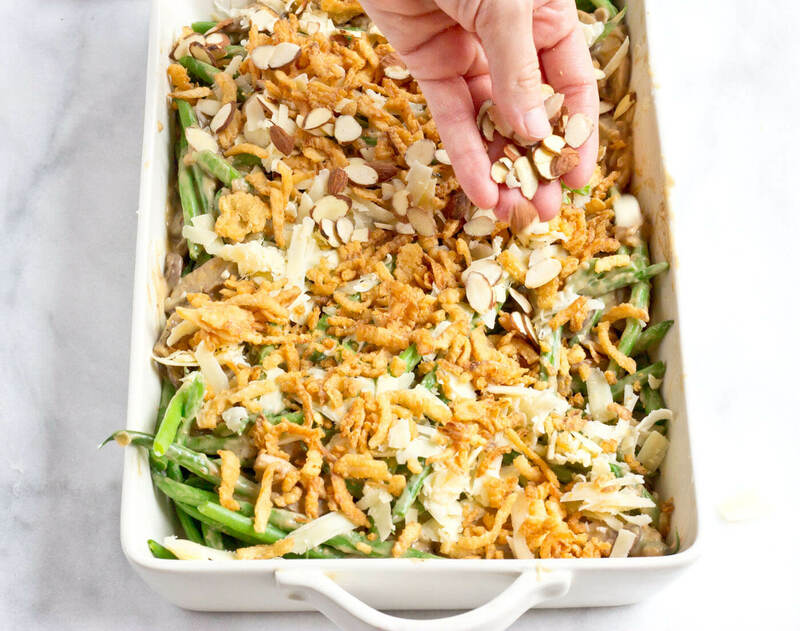 Green bean casserole is always a TG favorite of mine, and it just got a whole lot better! Thanks!! It’s a staple on our Thanksgiving spread– trying to make it fresher this year. Going to convince the family to serve it this way. Maybe I’ll need to bring the homemade cream of mushroom broth over to my parents house?! This looks like the perfect Thanksgiving side dish! And I totally feel you on the Thanksgiving eating as a food blogger hahaha – starts ends of August every year. Not complaining though!